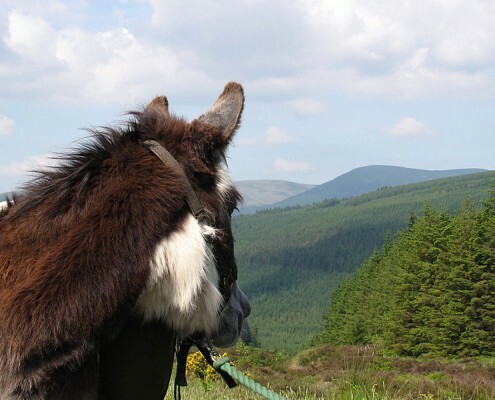 Donkey walking has to be one of the most unusual ways to explore County Wicklow. 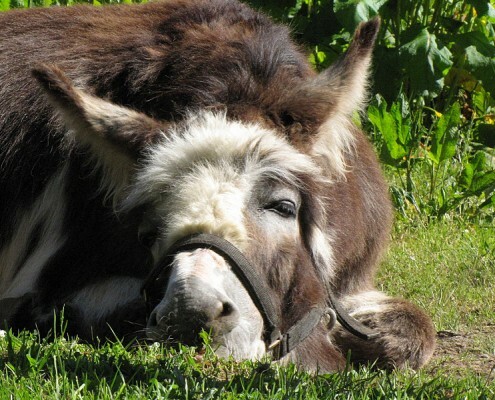 The Clissmanns will train you to groom, feed and care for your donkey before you set off on a walk around the Wicklow countryside with your new trusted companion at your side. 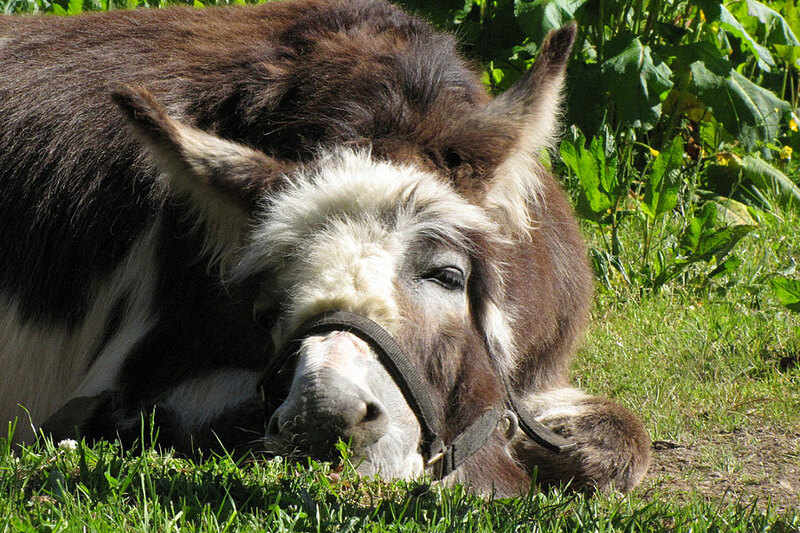 Each day consists of a 10-15km walk between villages with your donkey carrying up to 15kg of your luggage. This allows you to fully appreciate the scenery and have an automatic conversation starter when meeting the locals. 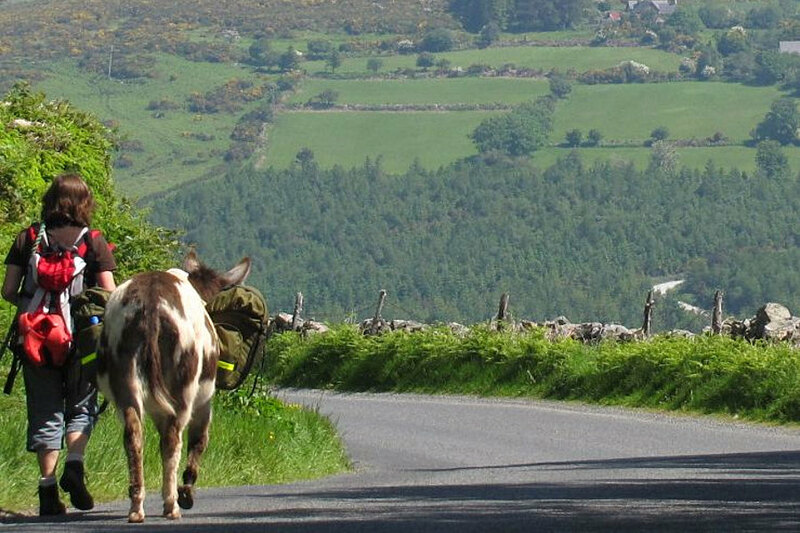 The Glenmalure Lodge is one of the accommodation stop-overs on this holiday, in between the Vale of Avoca and Glendalough. 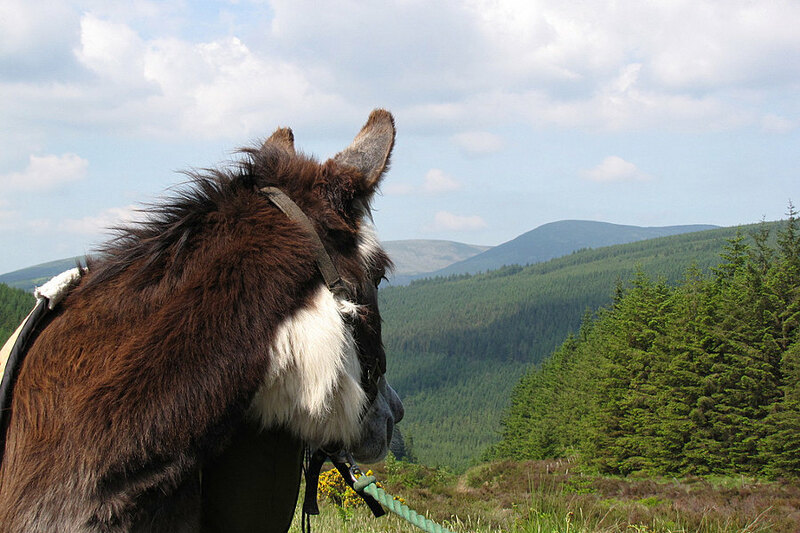 Donkey Walkers can take the opportunity to leave your donkey to graze for a while in the field whilst you go off to explore Glenmalure by bike. 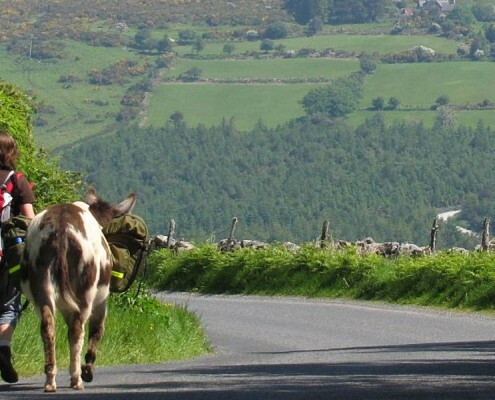 With a bit of added speed, you will be able to quickly reach Barravore, at the top end of the valley.